Is there an upcoming big event in your life, such as a wedding, a prom night or just a long-planned night out with your friends? 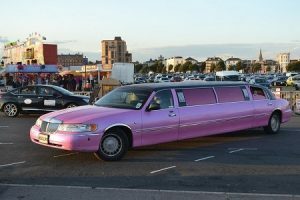 Maybe you will be interested in limo hire services because that is one certain way to have a great experience. There is nothing else that contributes better to a special event like a comfortable limousine. If you find a solid company that is ready to provide a vehicle for you, the experience will be enhanced and made unforgettable. It is not just the vehicle and the professional chauffeur that will improve the experience, but also the options you have during the ride. Party to your favourite music – music is one of the things that can put everyone in an awesome mood. With music, there is no chance for awkward silence and unpleasant conversations. Get the music playing, as most limos come with a sound system that is more than ready to accommodate this. This is great since if you are headed to a concert, you can warm up well in the limousine before you arrive. If the event involves your loved one, you can resort to more intimate love songs to set the mood right. Whatever your choice of music is, you can be sure that the mood will be right, because the limo’s sound system allows it. Have some refreshments – another thing that has become a signature for limousines is that you can, in fact, enjoy some refreshments while on board. Since you are not in any way engaged with driving, you can pour yourself and any other visitors a glass of sparkling wine, or just about anything you like really. That way you can warm up for the party yet to come. The best part is that you can always bring the beverages you want, and not feel limited in any way. However, try not to overdo it with alcoholic drinks, since you have a party coming too. Have a karaoke – that’s right: some limousines have a full karaoke system onboard. If you or some of your guests are singing enthusiasts, why not try some karaoke sing-along? It is a pleasant activity that can improve the mood of everyone. Prepare a selection of songs that you and the others know well because that is sure to light up the ambience on board. A cordless microphone can contribute to some fun singing experience. Incorporate some games – games can improve everyone’s mood; that much is certain. Prepare some games that you are sure the people will love and maybe include prizes to motivate people to participate more willingly. You will be surprised to see how carefree a trip will then be! As you can see, there are many ways to make a limo hire experience even better. It is up to you to pick the right ones that will appeal to you and your visitors.